Travelodge Hotel, 11, Bay Bridge Rd. 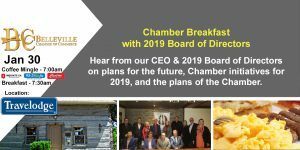 CHAMBER BREAKFAST Jan. 30 - The Chamber is hosting its first breakfast event of the year, and would like to introduce the new 2019 Board President and 2019 Board of Directors. 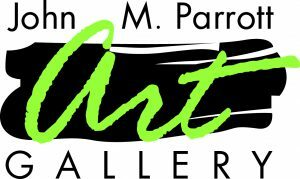 QUINTE CONCERTS Jan. 30 - The Parrott Gallery, in partnership with Douglas Rice, founder of the Quinte Mozart Festival, presents a new classical music series titled Quinte Concerts. YIN YOGA SERIES January 2019 - This four-week evening yoga series at She Thrives in downtown Belleville consists of a series of long-held, passive floor poses to reduce stress and boost overall wellness. 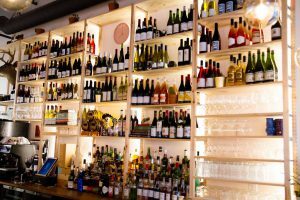 WINE & SPIRIT SCHOOL - This winter, allow the folks at The Lark Winebar to sit down with you over a few carefully curated bottles and talk through some of their favourite things about the wine and spirits world.